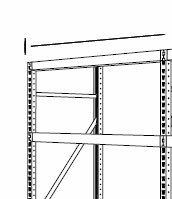 We have Used Pallet Racking available in most sizes. 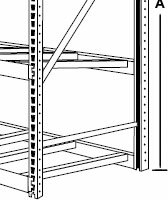 Used Pallet Rack sizes can be up to 12' high X up to 4' depths depending on what we have in stock at any given time. 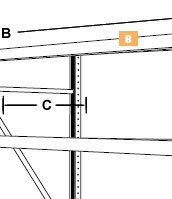 B The length of the Pallet Rack configuration needed. 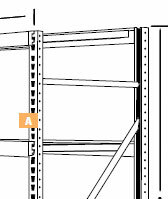 Most Used Pallet racks can be configured with up to a 96" beam length that will provide enough strength and stability. For heavier duty Pallet Rack configurations you might want to consider shorter beam lengths that will require more uprights for application with the need of higher strength and stability requirements. 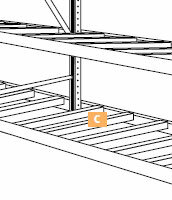 C. The depth of the Pallet Rack configuration needed. The pallet rack decking can be configured on site with either Plywood or 2 X 4 type struts that will provide more cost savings on low budget applications.